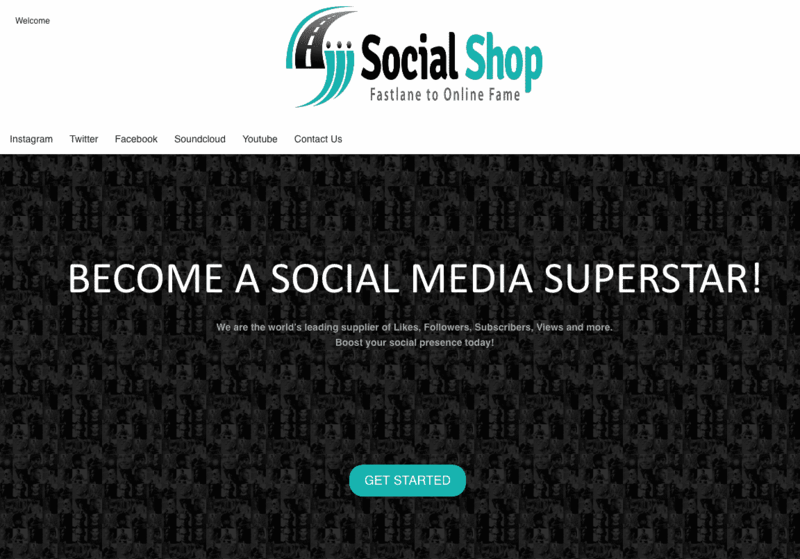 SocialShop claims to provide a high-quality Facebook likes service that will boost the popularity of your page quickly. They offer packages ranging from 1,000 to 100,000 likes. The company also says they deliver orders fast. To test these claims, we reviewed their Facebook likes service. The site gave very little information about their methods and the specifications of the likes they provide. This led us to believe that their Facebook likes are of low-quality. We also found some security issues related to their purchase process that you need to watch out for. Customer support and protection is another area where the company failed to impress. They only have a contact form and their agents did not respond to our questions. You only get a very basic refund guarantee. Furthermore, they don’t offer any replacement warranty. Because of these issues, we suggest that you don’t use this provider. You can find better options by going through the list of the best Facebook Likes providers we recommend. SocialShop is a Thailand-based company that offers different social media promotional services. It provides both Facebook likes and fans (which they call subscribers, for some reason). The site also has services for other platforms like Twitter, YouTube, and SoundCloud. The company says they can help you quickly become a social media celebrity with their services. They also claim to offer some of the lowest prices available on the market. Their site is simplistic in design and contains little information about the methods they use to deliver their services. SocialShop has six Facebook Likes packages, ranging from 1,000 to 100,000 likes. While they claim to offer fast delivery, they do not mention a turnaround time for their services. When you purchase any of their plans, you are directed to the checkout page of a different website. This could be a cause of concern, as the site you are led to is not secure. We reviewed the terms and conditions sections on the SocialShop website and made a few comments on their status below. To find out more details on these, then please toggle the sections to see what we thought! SocialShop states that the number of likes indicated in their plans are just estimates. They might sometimes provide more than the indicated amount. If they delivered less than what was expected you should call their customer support. The company also mentions that you are using their services at your own risk. They stress that they are not liable for any issues or damages that you might encounter while using their services. The site’s short privacy clause states that they only use the information you provide to fulfill your orders. They add that they do not share or sell your information to other parties. SocialShop only provides refunds if the Facebook likes you ordered are not delivered on time or if what you got are not the same as what you ordered. They say their delivery process might sometimes be slow and could result in late deliveries. When this happens, no refund will be issued. To get a refund, you need to send their customer support team a request within seven days after your purchase. The site states that you can contact their customer support for assistance if your Facebook likes drop. They don’t have a solid statement on their website regarding this. 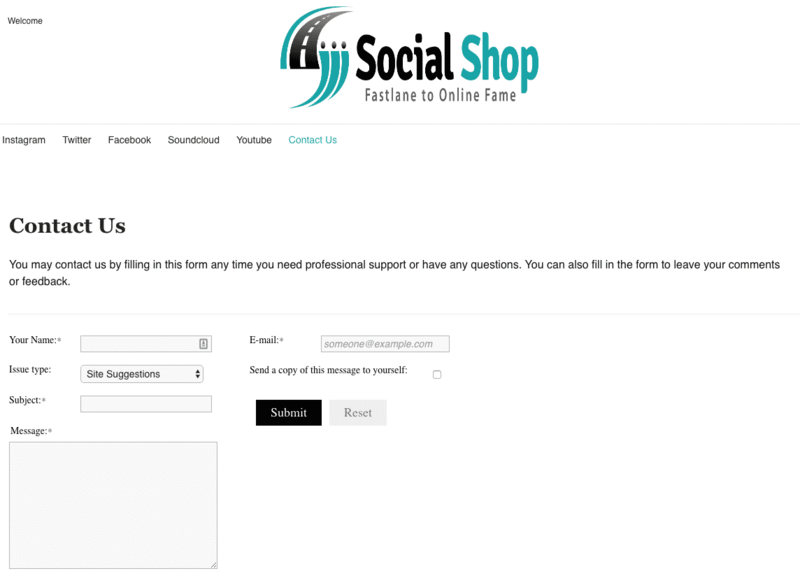 SocialShop only has an on-site contact form for customer support. They claim to reply to your messages within 24 hours. Based on our previous tests, they often do not respond for days after. You may also encounter some problems with their contact form, making it unsuitable for dealing with immediate concerns. 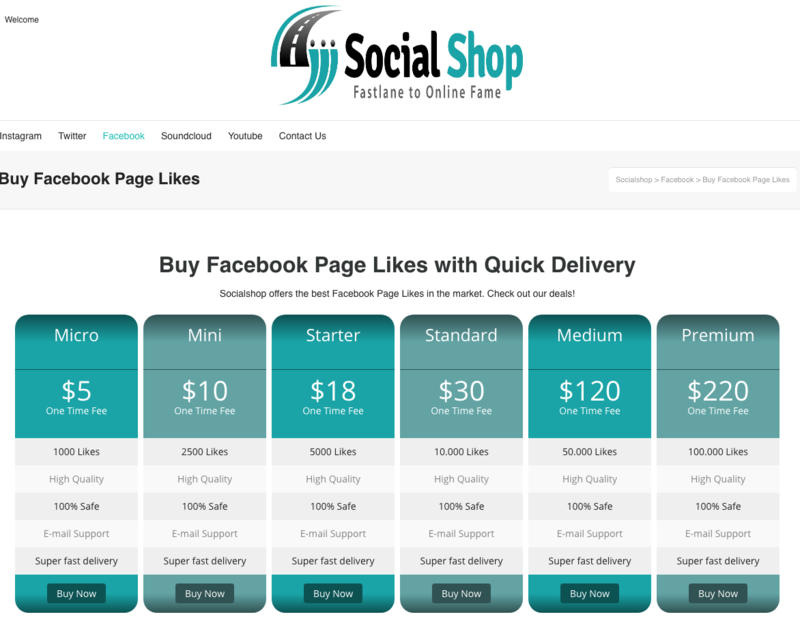 SocialShop’s Facebook Likes packages are priced considerably lower than other providers we’ve reviewed. We cannot guarantee the quality of likes you will be getting. Because of this, we don’t recommend getting your Facebook likes from them. Find better options and prices by checking our list of highly recommended Facebook Likes providers. SocialShop claims to provide fast delivery, with the likes showing on your page minutes after you order. Unfortunately, they did not indicate a time frame for delivery completion. This raises some questions on how effective they are in meeting the orders of their customers. While SocialShop says they offer high-quality Facebook likes, they provide almost no information about the actual nature or origins of the likes, making their claims very dubious. According to the company, since they tap real Facebook users to generate your likes, these users could also unlike your page eventually. They do not provide any information on how long these likes will stay on your page. The site also doesn’t have a stated replacement policy in case you lose your likes. Despite having what seems to be the lowest prices on the market, SocialShop’s Facebook likes service fails to deliver on their promise. Their biggest issue is the quality of likes they provide. They give little information about their methods for generating these likes and where they come from. We are also very concerned about the security issues we discovered in their purchasing process. The poor customer support and protection policies further lessened their appeal. Their agents did not respond to our questions, despite claiming to provide support within 24 hours. You also only get a basic refund guarantee and no replacement warranty. All of these factors make them an unreliable provider. We recommend that you avoid them. You can find better options by taking a look at our top listed Facebook Likes providers. Likes Reviews © 2017 - All Rights Reserved.